Responding to recent reports in the media that Everest has become far too easy to climb, the government of Nepal has announced a new set of arbitrary criteria in an effort to limit the numbers and produce a better quality of climber on the world’s highest mountain. People with size 14 feet. Big feet play havoc with the staircase of steps carefully crafted up the Lhotse Face. Dentists. Use of electric toothbrushes too close to the West Shoulder has been known to trigger avalanches. Banjo players. There is a concern that Banjo music may provoke fights at Base Camp. Scotsmen. 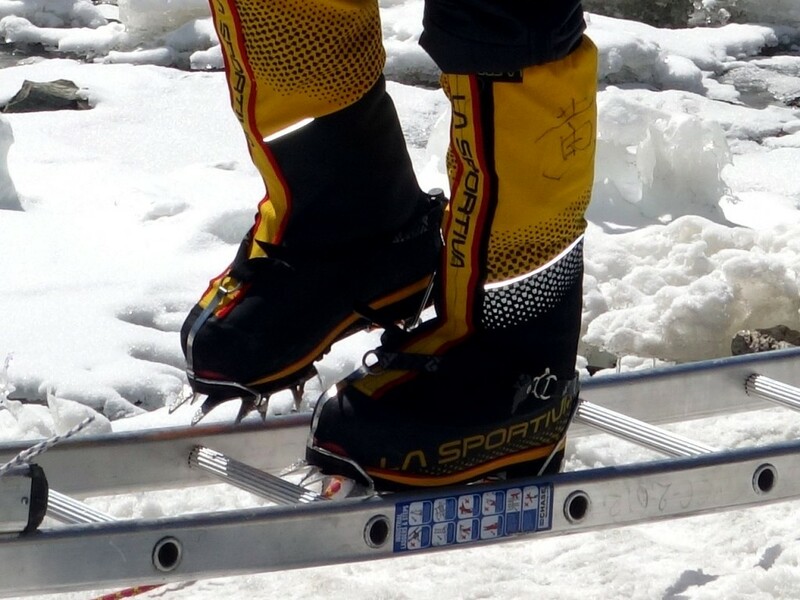 Following a man in a kilt up a ladder in the Khumbu Icefall is too unpleasant to think about. Decorators. Nobody wants a tin of magnolia paint falling on them as they are crossing a crevasse. Dwarves. Dwarves have been known to turn up at Base Camp ill-equipped with the wrong sort of axe. Elves. Their pointy ears are more susceptible to frostbite. Single people. 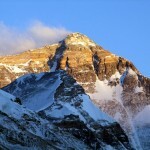 Sherpas have been saying for a long time that masturbation at Base Camp angers the mountain gods, and causes stormy weather. Pathologists. 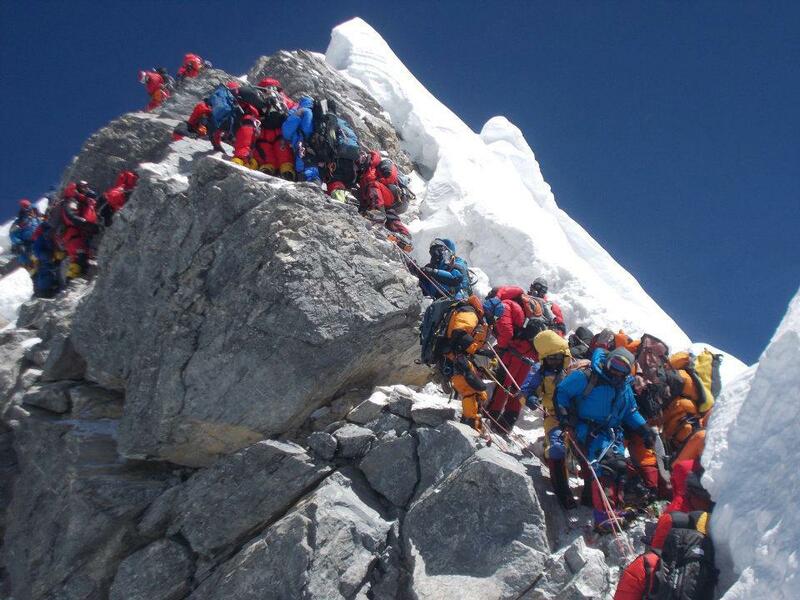 There is a danger they may spend too long examining the corpses that litter every square inch of Everest’s summit route, causing queues of up to four hours on the Hillary Step. Government liaison officers. There have been complaints about there being far too many liaison officers at Base Camp in recent years and … oh, hang on, where are they? Responding to criticism that Nepal’s Ministry of Tourism are always making silly announcements about Everest and nothing ever happens, a spokesman said they would be setting up a committee who would adjourn to the newly constructed Base Camp toilet to consider the matter, and a press release would be issued in due course to clarify the situation. A complete list of those who will be excluded from Everest in future years can be found in the Guardian newspaper. Thanks, Serafina. You are right, bagpipes should be included, and I think accordions too. I’m glad you found it funny. Hopefully this also gives you some idea what I think of the story. But don’t you think that there is a certain amount of sense in insisting that people have a certain level of competence before being allowed up the mountain? You would expect the commercial guides to insist on that but I suspect that a big enough cheque can always persuade them of you competence. In response to Dave Brown, it is understandable why he and many others are cynical about commercial operators taking anyone on Everest, as long as they pay enough. In a few instances it may be true, but having been in the industry since its inception I can assure you that the primary operators are very discerning about who they will accept on to a trip. Aside from the terrible human tragedy, losing a client in the mountains is very bad for business and the operator’s reputation.I can name at least one business that died soon after one of its clients did. I’ve turned down cash waving millionaires wanting to do it in a shorter time than we advise; I’ve had people abuse me and storm out of the office when I tell them they need to get more experience before we can take them; I’ve turned inexperienced people down and they’ve gone with a less discerning operator – and they’ve died. Losing a client is heartbreaking – I know because it’s happened to me. Behind the gloss of expedition operators’ brochures and websites, there are ordinary people trying to make a living out of sharing something they love. In the vast majority of cases, they will not be reckless in their selection process because, in every sense, the cost of getting it wrong is far too high. To join the Everest team you will need to have extensive mountaineering experience. This should include previous high-altitude experience of at least 6,000 metres, combined with plenty of Alpine mountaineering experience and preferably, you will have taken part in a previous 8,000m expedition. To read the full experience requirements for this expedition, please download the Everest PDF. 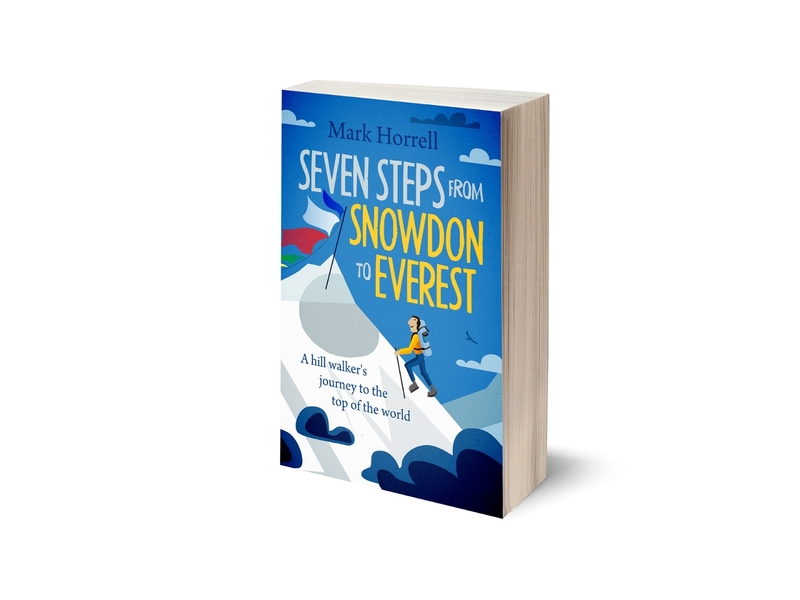 Or, for an overview of how you might build up to Everest over a number of years, download our ‘Steps to Everest’ PDF here [508KB]. I am a very adamant supporter of responsible outdoor recreation. 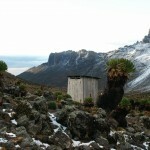 Your post is a sad reaction to an effort to minimize human deaths on the mountain. It appears you got what you wanted: hits to your website. Unfortunately, you contribute to the problem of inexperienced unknowing individuals paying to die in one of the harshest climates on earth. If we are to teach people about safely enjoying these treasured locations, part of it is requiring a demonstration of capacity to appreciate the dangers. This particular post, which is categorised under “Humour”, is intended as a parody of shoddy journalism, rather than a serious statement of my position about regulation on Everest. The Nepalese government is always making statements like these about Everest. Nothing ever comes of them. Meanwhile western journalists continue to lap them up and package them as truth to people like you, who are quick to judge. Rather than parroting the government official’s statement, a more useful piece of journalism would have been to question why Nepal’s government has consistently failed to implement any meaningful regulation on Everest when it is badly needed, or invest any of the millions of dollars it receives in permit fees every year in the Everest infrastructure. I see plenty of articles about how Everest has become the playground of people with no experience of mountaineering. 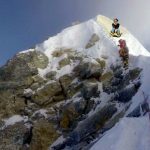 Most commercial Everest climbers have lots of high-altitude experience, and most reputable operators like Steve vet their clients and ensure they are suitably qualified. Unfortunately, while there continues to be no regulation, there will always be no shortage of people turning up at base camp thinking they can climb Everest with no experience, and plenty of cowboy operators willing to take their money. I don’t see as many articles examining the role of Nepal’s Ministry of Tourism, or how sensationalised media reporting continues to lead people to believe they can climb Everest with no experience. This post is intended to redress that balance in a humorous way, and it is on that basis you should read it. I don’t know if accordions could be deemed provocative, although the polka should be restricted at high altitude. Reputable operators all do many things to promote safety on 8000m peaks. As Alan points out in his post, statistically the mountains are becoming safer all the time. Of course, if you try and climb one when you don’t have the necessary experience, then it’s going to be a lot more dangerous. Mountaineering will never be entirely risk-free; catastrophic avalanches and earthquakes are always going to occur. You just have to hope you’re not there when they happen. The same applies to being a commuter in London during rush hour. In my office I have a fabulous print of Dougal Haston climbing the Hillary Step, on the 1975 Everest South-West face expedition. That epitomises mountaineering; adventurous, challenging, yet dignified and respectful. It’s a million away from this… http://www.ehu.eus/ehusfera/law-mountains/files/2012/09/Everest1.jpg (swarms of climbers negotiating fixed ropes on the Hillary step, in case you can’t see the photo). Regardless of minority opinion in the mountaineering world, the general public now see climbing Everest as something that just about anyone can do if they have enough time and money. Mountaineers are perceived as a bunch of self-absorbed, over-privileged egocentrics with ‘thousands to throw away’, in a world where millions are homeless, starving, and fleeing for their lives. And with the media circus that surrounds Everest this disdain is only likely to intensify with each new Everest disaster. I half-expect to see the ‘Kashcardigans’ crawling up there with their go-pros and selfie sticks before too long! I’ve climbed in the Alps, the Himalayas, and the Andes extensively, and I’ve been on several commercial expeditions too, but I’d be embarrassed to tell my friends and family I was going on a commercial Everest expedition. They’d think I was a selfish, cashed-up twit! Fair play to the Nepalese for at least identifying that some dignity needs to be returned to the mountain. If they don’t have the resources to achieve this themselves, then perhaps Western mountaineering organisations should offer more tangible support as clearly they are the ones who have most to gain. Yes, I can see your article is intended to be humorous – whilst also cocking a snook at the Guardian. Perhaps you should just be thankful of the extensive column space the British press gives to mountaineering; the media in most countries really don’t give a hoot. You say you have climbed in the Himalayas. I’m guessing you’ve not been to Nepal recently, or spoken to anyone with a deeper understanding of its mountaineering politics. By “the Nepalese” you appear to be referring to the government officials who made this particular announcement. Many of these officials are corrupt. 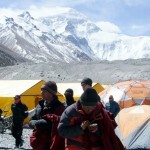 Their interest is not in dignifying Everest, but in making money from it while they can. Unfortunately these announcements always contribute to the negative image of Everest some people have (for example, did you read the offensive comments the official made about disability? A number of experienced disabled climbers have climbed Everest in relative safety). The press latch on to the negative aspect, people get angry about Everest for a short while, then nothing happens to improve the situation. The vast majority of climbers, operators, Sherpas and mountaineering workers who have actually climbed Everest have a healthy respect and reverence for it, and are keen to ensure other people look upon it with the same dignity as they do. These are not the people you should be aiming your criticism at. I have the same photo taken by Doug Scott as you have on my wall. Sure, I climbed with a commercial operator and there were fixed lines when I climbed it from the north side. I never will be in the same league as Dougal Haston – I didn’t have to bivouac at 8750m – but I will never forget how hard my summit day was. As for that photo of queues on the Hillary Step, people are always waving that one around as proof that’s what climbing Everest must be like. I actually summited the day it was taken, 19 May 2012. 229 of us reached the top that day, the highest number of ascents ever on a single day. Normally there are a dozen good summit days on Everest; that year there were only four, and many people ended up going at the same time. We had nothing like that on the north side though; it was relatively clear for us. You providing that link is a bit like me waving around a photo of a road traffic accident as proof that’s what driving a car must be like. But if you want climb Everest post-monsoon when it’s quiet, like Dougal Haston did, you can still do that. If you went there now, apart from a solitary Japanese climber and his Sherpas, you would have the whole mountain to yourself. Perhaps your friends and family would respect you more if you did. It would certainly beat showing up on someone else’s website, complaining about those who have bigger dreams than you do. If you took the time to read more than just this one light-hearted post on my blog then you would understand I have far more respect for Everest than you appear to. As for what the general public think of Everest, I believe what you consider to be “general public” are a small number of armchair high-altitude mountaineers. Most people’s eyes glaze over if they find out I’ve climbed Everest. Either they are not interested, don’t believe it, or it’s something that is beyond their comprehension. Those who are interested are genuinely enthusiastic and respectful. I’ve yet to meet anyone who appears to hold me in contempt for what I’ve done, though obviously there are quite a few haters active on social media. You may think you’re a typical member of the public, but sorry, you’re not. I’m closing the comments now to encourage those of you who feel the need to voice your opinion to explore a little further on this site before commenting, and understanding more of the context which provoked this post.